Do the Five Tibetan Rites help you loose weight? What is the significance of 21 repetitions of The Five Rites? Will I get increased benefit if I do more? How Quickly Should I Practice The 5 Tibetans? Where Should I Practice The Rites - Do I Need Any Special Equipment? Can I Practice T5T Whilst Menstruating? Do The Five Rites Improve Hormonal Function? Will Practicing T5T Help With My Hot Flashes? Do I Go Barefoot Or Can I Wear Shoes When Practicing The 5 Tibetan Rites? Is It OK To Practice T5T When Pregnant? So What Happens If I Stop Practicing the Five Tibetan Rites? Some people don't lose weight, but soon notice that their stomachs are firmer & flatter due to the core exercises incorporated into the Rites in the T5T® method. Their upper arms look less flabby & toned as do their thighs & buttocks. This gives the appearance of weight loss and makes them feel better! Reduction in craving for 'junk' food. It is a very common experience for people to start naturally changing their dietary habits. It seems to be that they feel 'cleaner' on the inside and have a natural desire to eat healthier foods. Doing T5T daily takes self-discipline. After a while, people find they become more self-disciplined in other areas of their lives. This is of great benefit to anyone undertaking a weight loss program. Whilst travelling - Some people do it on the aeroplane – others have done it on the Great Wall of China, and on a glacier! I prefer my lounge floor! It's fun. You don’t need any special equipment: Wear what you like, no-one can see you unless you do it publicly! You can do it at a time that suits you and it won’t keep on costing you money. Once you have learnt T5T® – it is yours for life. The Significance Of 21 Repetitions? The only source of information about the origins of "The Five Tibetan Rites" is to be found in Peter Kelder's 1939 book "The Eye of Revelation" (download it free here).The book provides no information at all about the significance of repeating each movement 21 times. Why not 22, 35 or 50 etc? However, a precedent can be found in a system of Yantra Yoga, the Buddhist parallel to the Hatha Yoga of the Indian tradition. This is very interesting because The Five Tibetan Rites are 5 movements repeated 21 times each - a total of 105 movements + 3 repetitions of Rite No 6 (if you are practicing it) = Total of 108. A coincidence? However, once again Vairocana's text does not explain the significance of the number 108. Speculation abounds about the significance of the number 21 or 108 - but as you can see, the question is still unanswered! What Are The Effects Of Doing More Than 21 Repetitions? As a teacher, I'm often doing 50+ repetitions of the postures. I must admit I haven't noticed any difference in benefits though. To me 21 repetitions seems just ‘rite’! …"However," continued the Colonel, “we do not carry the whirling exercise to excess. While the Whirling Dervishes may spin around many hundreds of times, we find that greater benefit is obtained by restricting it to about a dozen or so times, or enough so that Rite Number One can stimulate all the Vortexes to action. After several months it can be increased to 20 revolutions. Later to 30, 40, and eventually, after many months, to 50. So the answer is: Like all forms of yoga – be conscious of the effects of the Rites & the number of repetitions on your body. Pause and allow yourself to feel the changes physically and energetically. Your needs will vary day-to-day, effected by emotions, activity and even the weather. You’ll soon be aware enough to know what works best for you. There are a number of factors to consider when answering this. It depends on how long you have been doing them. It varies day to day depending on emotions, activity and even the weather! In the beginning you are bound to be slower as you are learning the movements and your body has to adapt. I would clear 20 mins per day in the early stages. I did a survey of my instructors and long-term practitioners of T5T. 10 mins was the average amount of time taken. There are days when all of us feel like doing it slower, particularly when nurturing ourselves with the 3 Energy Breaths (in T5T®’s Method) between each Rite. However most of us find 13 minutes on slow days to be sufficient. ...“In either event he should not neglect the other Rites, and above all he should never strain himself. If he goes about performing the Rites in an easy, interesting manner it will not be too long before he finds everything working out satisfactorily, and that he is doing the Rites the required 21 times a day. To get an idea of pace, watch four of our Registered T5T Instructors doing 21 repetitions of the first three Rites on this video. They are able to do the movements at a speed which ensures their alignment and control is correct. They are not rushing, just doing them in a nice controlled and comfortable manner. In T5T we carry out three Energy Breaths between each Rite to boost their effects and to increase wellness & vitality. A lady who attended one of our workshops had been practising the Rites using the original method and it was taking her just 5 minutes per day! I would highly recommend you avoid that! T5T is all about centeredness, control, alignment and muscular balance – & preventing strain or injury. At this rapid pace it is no longer yoga – which is “meditation in movement’ – it is really just a callisthenic exercise! The real point I believe is not so much the speed or lack of speed we do it at, but whether we can sustain this daily practice over our life-time. Sometimes this means going slow, sometimes this means going faster. The monks who practiced the original Rites were celibate and male. There were no instructions given regarding menstruation! However, my experience and the feedback of many of the women I have taught, is that T5T seems to improve the symptoms of menstruation. Some women report less bloating, moodiness, anxiety, cramps and sore breasts. Others say they feel less congested and the flow is improved. However, craving for chocolate doesn't seem to change! During menstruation some women's physical energy is not as strong as usual. In this case - maintain the pattern of your practice so as not to lose the motivation of the daily ritual - but perhaps to do less repetitions. Or revert back to one of the easier versions of the postures. However, some women experience increased energy during their period - so there is no one size answer to fit all! Exercise is good for you, and in fact is normal! Our sedentary lifestyle has turned exercise into an option! Certainly if you have a condition that requires you to receive treatment from a doctor - you should definitely discuss this with him/her. There are some people who have underlying conditions such as cysts that may become aggravated through practicing the Rites (or doing other forms of exercise). If you experience any irregular spotting or your period stops - then you should see your doctor. It is worth considering that in many rural cultures women work whilst having their period. They also work right up to the day before giving birth and return immediately after delivery! Of course their bodies are conditioned to ongoing physical labour, whilst those of us in urban communities need to be more cautious. The point I am making here though; is that the human body is pretty tough! ..."Since I know of no studies or research that makes a compelling argument to avoid inversions (Rite No 5) during menstruation, and since menstruation affects each woman differently and can vary from cycle to cycle, I am of the opinion that each woman is responsible for making her own decision. It definitely helped me! They didn't totally stop but they dramatically reduced in frequency and strength. I didn't do anything else: No hormones, no yam cream, no giving up various foods - I just did the Five Tibetans. Many women have told me the same thing - but unfortunately it doesn't work for everyone. Rather like admitting the Rites have improved their libido, some people don't feel comfortable in talking about how they are 'having hot flashes'. In this image conscious world, it is not OK to get old! The monks said that the purpose of the Rites is to get the chakras (energy centers) of the body spinning rapidly and evenly again. The chakras are located above major nerve plexi (bunches of nerves) and the major endocrine glands of the body. In this way, they are said to improve hormonal function. An example of this hormonal stimulation came from a nursing mother who attended my workshop. She said that after learning T5T - her insufficient breast milk production improved significantly! Yoga poses are used therapeutically and one of the Rites - the 5th (Downward Dog) in particular is known for 'helping to relieve the symptoms of menopause'. It has been noted by many authors that the location of the chakras correspond to the major endocrine glands (hormone production) of the body. It has also been said that while the chakras regulate the circulation of Qi or life-energy throughout the body, they also interact with the endocrine glands which in turn regulate hormone production. Each chakra is associated with a particular function within the body; health, wellbeing etc. They are also associated with life issues and how we handle them within ourselves and with our interaction with others. ..."Although current scientific research has not determined that the chakras energy centres are physical phenomenon, their "material space" is anatomically in close physical proximity to the spinal nerve ganglia (mass of nerve cells) and plexuses (network of spinal nerves). It is theorized that the spinal nerve ganglia and plexuses are the physical or "material" representation of the seven major chakras at the following spinal anatomical locations: coccyx, sacrum, lumbar, upper thoracic, cervical, mid and upper brain. Here are the advantages & disadvantages of doing the 5 Rites in shoes, socks or barefoot. I would say definately not. However, I did teach one lady who had painful heel spurs, and she had to keep her shoes on. When you spin with shoes on, it is very clunky. It is hard to keep your movement smooth & this increases the potential for dizziness. It also takes away from the pleasurable sensation of doing the spin aerodynamically. In the Kneeling Backbend (Rite No 3) & the Pendulum (Rite 5) you are meant to bend your toes back (flex). With shoes on, this would be very hard to achieve due to the lack of flexibility in the shoe itself. The easiest Rite to do with shoes on is the Tabletop (4th Rite). I understand that people want to wear socks in colder climates. If your spin is controlled and you can remain in a small area without loosing balance or wandering across the room, I would say, yes you could wear socks. However, they do tend to wear loose during the movement. The bunching under your toes, makes the surface you are spinning on uneven - & that increases the potential for dizziness. So, its not ideal really. Yes for Rites 2 & 3 but definitely NOT for Rites 4 and 5. In Rite 4 (The Tabletop), you want to be balanced with your centre of gravity in the middle of your body. It is a pose of stability, balance and foundation. If you have socks on, there is a tendency to slip or shift more weight back onto the shoulders to compensate. In Rite 5 (Pendulum), you limit the degree of potential stretching to the back of your legs and shoulders, whe you are constantly trying to prevent yourself from slipping. The movement of your feet within the socks takes away from the sense of stability and foundation you are trying to achieve. The bigger problem is that you may lower your pelvis too rapidly towards the floor from the downward dog (upside down V) position into the upward dog position. This can cause strain or injury to youe lower back. Definitely no for wearing socks! Being barefoot gives you this wonderful connection to the ground beneath your feet. When you have a sense of being 'rooted' into the earth, you can work with gravity - stretching & lengthening against its pull to activate & energise the spine. Growing away from the ground allows your body to free and open. Throughout the whole sequence work with the ground, the foundation of all your movements, as you stretch away from it, and become balanced upon it. Yes - do it barefoot! Yoga is wonderful during pregnancy to maintain your fitness; keep your muscles toned and improve your posture. It increases your energy levels and reduces fatigue as well as assists with maintaining optimal health levels during pregnancy. It also teaches you how to relax and breathe. This is very important to help you adjust to the demands of pregnancy, then birth and motherhood itself. There are precautions though if you want to practice any form of yoga during pregnancy. For example you should not carry out any poses that require you to lie flat on your back (as this decreases blood flow to the uterus). You should also avoid lying on your belly or performing exercises that require excessive stretching of the abdominal muscles. Do to the release of the hormone relaxin which enables the uterus to expand during pregnancy you are at more risk of straining muscles, so extra care must be taken to avoid strain on your joints. There are special requirements for each stage of your pregnancy. In the 2nd trimester you will need to pay attention to your technique to avoid placing undue stress on your joints as your connective tissue will be softer due to relaxin. Because balance can also be affected during pregnancy, extra precautions need to be taken with standing poses during the final trimester of pregnancy. If you have never practiced yoga or have practiced very little before your pregnancy, you should practice only prenatal yoga while pregnant. If you already had a strong yoga practice before your pregnancy, you may be able to continue a fairly vigorous practice-with modifications-after your first trimester. During the first trimester both beginning and experienced yogis should only do a gentle practice or none at all, as the fetus is still implanting and the risk of miscarriage is highest. We do not recommend you begin practicing The Five Rites during pregnancy, unless you consult a specialist teacher in pre-natal yoga. She can help you adjust the poses (or offer alternatives) at each of the different stages of pregnancy. The first movement is a Spin which can cause dizziness. If you experience nausea in the early stages of pregnancy this may make it worse. In the 2nd and 3rd trimester of pregnancy you may have problems with balance so this movement would not be recommended. The other four movements can be modified or adjusted but you really must see a qualified pre-natal yoga teacher. Pregnancy is not a time to work hard on improving your flexibility as special care needs to be taken to avoid over straining your muscles due to the effects of relaxin which softens your connective tissue. A trained instructor who has experience in instructing pregnant women will also offer you additional movements to assist you with the demands of pregnancy and birth. The first six weeks of birth are really about healing and adjusting to the demands of the baby. Relaxin will remain in your body for around 5 months so care still has to be taken to avoid overstraining your muscles and joints.Exercise is best limited to gentle pelvic floor and abdominal exercises as well as swimming and walking. The T5T version of The Five Tibetan Rites incorporates pelvic floor and lower abdominal strengthening and can be helpful in your recovery. However, once again, it is advisable to discuss this with your qualified pre & post natal yoga or Pilates instructor. T5T is great for finding that little bit of time for yourself as it takes around 10 – 15 mins per day. You can fit it in between sleeps, feeds and laundry! When you stop practicing the Rites, you naturally lose the benefits you have gained over a period of time. They don't just go immediately. This is because the chakras start spinning more slowly or unevenly again. 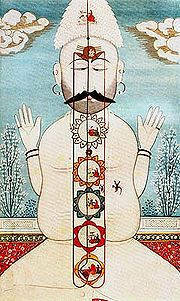 When chakras slow down the Qi (Prana, Life-Force) flows less freely through the body. It is the free flow of Qi that enervates and keeps the body/mind young and vital. People who have stopped doing the Rites, have told me that they notice a significant reduction in energy, calmness and wellbeing. Some have also told me that they began to get colds and flus etc more often. They describe the onset of stiffness and loss of strength - exactly what you would expect really. These people attend my classes to get back into doing the Rites again because they don't like how they feel compared to when they were practicing them. The warning that you will degrade quicker than before, I believe, depends on how long you have been doing the Rites. Whilst you were practicing the Rites, the rate of aging (or effects of aging) were somewhat reduced. Therefore when you stop - not only do you lose the benefits you had gained - but you return to the condition you would have been prior to doing the Rites. This is because you are older chronologically than when you began the Rites. The other possibility is that whilst doing the Rites, you kept various illnesses or physical deterioration at bay, and when you stop; that improvement is arrested and you become ill or less mobile in a way that appears more 'rapid' than before. Scientifically, we do not have any research to 'prove' this, but that is often the case. So many things the ancients have described have eventually been proven correct. Stopping the Rites is like turning the dimmer down on the light switch!